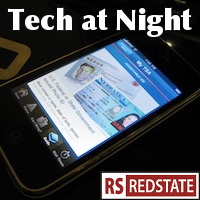 Tech at Night: Manning guilty. Snowden lying. Microsoft accuses itself of copyright infringement. Google as ISP lets us know they oppose Net Neutrality Tech at Night: A key government cybersecurity role. Chinese trojan horses. ECPA reform held. This will be my last post before heading off to the gathering, enjoy! Previously on RedState: Google as ISP lets us know they oppose Net Neutrality. So Bradley Manning was convicted on nearly every charge. Let’s hope he gets a serious sentence to go with it. More Wikileaks: The latest Edward Snowden/Glenn Greenwald report was misleading, so says the House. The Congress is passing bills! It sounds like they’re being narrowly tailored to pass, though. The Senate’s cybersecurity bill sounds like mild information sharing that won’t really do much, if anything at all. We don’t need best practices alone. We need a bidirectional free flow of information about up to the minute threats. The House has passed some FCC reform, but it omits transparency rules that Obama Democrats (shockingly, yes) oppose. It turns out that when the FCC went after Verizon on tethering, the only result was reduced choice for Verizon customers. Typical regulatory outcome, that. MIT again denies wrongdoing with respect to Aaron Swartz, the criminal anarchist who was guilty as sin, and killed himself because he’d decided in the end he didn’t want to be a martyr in prison, after all. To pass a law in honor of this guy would be madness for anyone who purports to support copyright at all. Also madness would be to support a comprehensive copyright bill of any kind at all. Hearings are coming up, and while I’m fine with targeted reforms (and would even support some), to try to do everything at once would result in something as messy and unworkable as every other comprehensive bill, including Obamacare and every iteration of amnesty for illegal aliens that comes down. One copyright matter that needs reform is the DMCA safe harbor system, and related rules with respect to search services. I think we need to eliminate automated processes, because they’ve quickly grown out of hand, to the point that we see firms like Microsoft nearly attacking themselves. The system has perverse incentives. Bitcoin anarchists attempt to frame reporter, after previously SWATting him. Yet another reason we need to take down the whole Bitcoin criminal enterprise. We need to make worthless every last bit.